As of this weekend, there is still no word from Florida regarding what they intend to do about Rick Wershe’s prison sentence in a case involving a car theft ring while he was serving time there in the Witness Security program. This week Rick told me if they are going to come get him he wishes they’d do it, so he can fulfill that obligation and be truly free. During this wait-and-see period, Informant America will take a minute to profile some key people in Rick Wershe’s long, long struggle. Twenty-nine-and-a-half years is a long time by anyone’s reckoning. That’s how long Richard J. Wershe, Jr. has served a life sentence for possession of a large stash of cocaine. He was busted when he was 17-years old. Until his parole this month, he had been Michigan’s longest-serving inmate sentenced as a juvenile in a non-violent drug case. As Rick says, there are good days and bad days. He’s taken it one day at a time. Several people have helped him do that and they are featured in this blog post. Let’s stipulate up front that Rick Wershe has had many supporters in his long struggle—too many to list. Informant America, which only deals with the Wershe story, has had over 305-thousand-page views since it began in March of 2015. Clearly, a lot of people are interested in his story. But it hasn’t always been this way. There have been times when Rick has felt totally forgotten, totally alone. One guy who never forgot, who never abandoned Rick through his darkest days, is his childhood friend, Dave Majkowski. They used to shoot at rats in the alleys of Detroit when they were kids. They go back that far. Roman Wershe, Dave Majkowski, Rick Wershe, Jr. 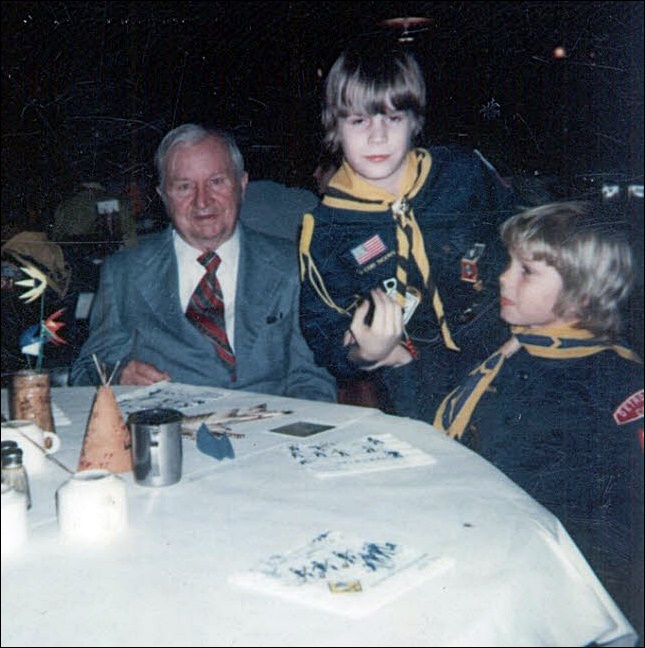 The photo above is of Rick with his grandfather, Roman Wershe, and his friend, Dave Majkowski. The Majkowski family moved to the suburbs as Detroit “changed” during the 70s and 80s. The Wershe family stayed in Detroit, Rick became an informant for the FBI and his fate was sealed. Over the years, Majkowski has never stopped believing. He never gave up on his friend, even when things looked hopeless. And things looked hopeless for a l-o-n-g time. Majkowski has tirelessly operated the Free Rick Wershe Facebook page. It has become the go-to site for people looking for the latest info on Rick Wershe. But Majkowski has done more than manage a Web page. He’s helped Rick with his holiday food drive for the needy. He’s called and written to politicians, judges, lawyers, you name it. He’s been there when Rick needed someone on the outside to do what needed to be done. Gregg Schwarz has been like a dad to Rick Wershe; more so in many ways, than his biological father. Schwarz is a retired FBI agent. He got to know Rick at the end of the FBI investigation of the Johnny Curry drug gang. Schwarz has long believed it wasn’t right for the federal government to use a 14-year old kid as an informant in a dangerous undercover assignment in a drug case, only to abandon him. After Rick Wershe helped the FBI prosecute the Currys, the government kicked him to the curb—cut off all contact with the kid and let him fend for himself after teaching him how to be a drug dealer. When Rick Wershe got busted for possession of drugs, the FBI wouldn’t help him. They didn’t go to the Wayne County Prosecutor and explain he got involved with the drug trade while helping them. To do so would require admitting they had used a juvenile as an informant in a risky undercover operation. In order to save face—and careers—they let Rick Wershe be sentenced to life in prison. Schwarz thought that wasn’t right. He still thinks that way. While he couldn’t overrule the system, he stayed in touch with Rick Wershe on a regular basis for 29 years. He's counseled Rick. He's consoled Rick. Perhaps most important, he's been a true friend by telling Wershe when he isn't thinking straight. He tells Rick Wershe the truth as he sees it. Like Majkowksi, Schwarz has made phone calls, written letters and pestered anyone and everyone who might help. That’s how I got involved. In the late 80s, when Rick was front-page news, I was working on investigative reporting projects and documentaries for WXYZ-TV, Channel 7 in Detroit. Chris Hansen covered the crime beat and covered Rick’s story. 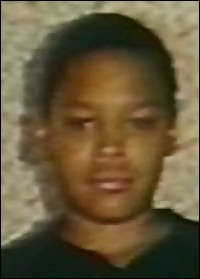 I became aware of Rick Wershe when I did an investigative series of television reports called Who Killed Damion Lucas? That 5-part series documented how the Detroit Police Department covered up the truth about the killing of a 13-year old boy by members of the Curry drug gang. The top command of the Detroit Police Department essentially obstructed justice in the Damion Luas case in order to shield Cathy Volsan Curry, the niece of then-Mayor Coleman Young and the wife of drug gang leader Johnny Curry. They tried to frame an innocent man but that case was eventually dropped under pressure from the FBI and the Justice Department. The key figure in the police obstruction of justice corruption scheme was the late Gil Hill, then the head of Homicide for the police department. He later became a city councilman and the council president. Johnny Curry later admitted he paid Hill $10-thousand to make the homicide investigation go away. Damion Lucas - A homicide victim who has never had justice. When I reported the story in 1988, I knew Rick Wershe had played a role, but it wasn’t clear to me until years later just how important his role was. Wershe provided the FBI with critical information which fortified what the feds had picked up on wiretaps in the Curry investigation. As it turns out, Rick Wershe’s role in the Damion Lucas matter turned out to be his most important contribution as an FBI informer. It revealed police corruption the FBI didn’t know existed until Wershe told them about it. In the summer of 2014, Gregg Schwarz contacted me about tracking down a copy of the series of TV reports I did on Damion Lucas. As Schwarz told me the Rick Wershe story, I got hooked, too. That’s how this blog got started. That’s how I got started writing a book about Rick Wershe and the trillion-dollar fiasco that ruined his life. We call it the War on Drugs. The other key figure in the Rick Wershe saga is his longtime attorney, Ralph Musilli. People have criticized and second-guessed Musilli many times regarding Rick Wershe. ‘Why doesn’t he do this?’ ‘Why doesn’t he do that?’ ‘What’s taking him so long?’ I've disagreed with him, too. These critics, arm-chair quarterbacks and second-guessers overlook one key thing: Ralph Musilli has been fighting for Rick Wershe for years with no pay. Nada. Zip. Not a dime. Lawyers call this kind of work pro bono—for the public good. 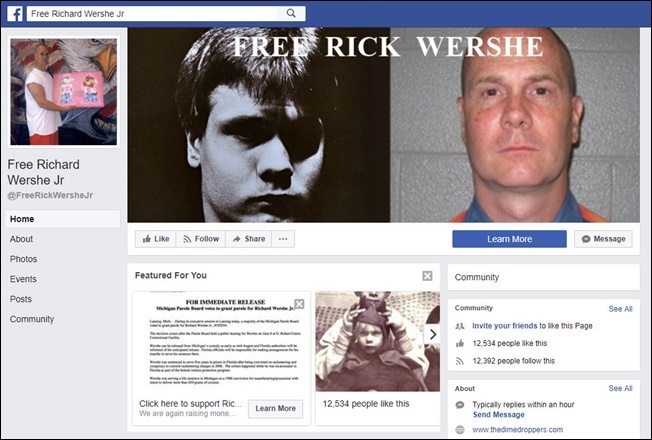 The Rick Wershe case surely must be one of the longest-running pro bono cases in the history of the legal profession in Michigan. When I look at all the legal briefs Musilli and his law firm have developed in the fight to free Rick Wershe, when I look at all of the case law research, the court appearances and meetings with the Michigan Parole Board, all of the phone calls from media types like me, I can safely write that Ralph Musilli’s pro bono work for Richard Wershe is easily in the six-figure range. Plus, Musilli’s assistant Theresa, has been on top of this fight, too, and she has been a telephone lifeline for Rick when things have not gone well. It must be particularly galling for Musilli to hear all of the second-guessing, particularly from other Johnny-come-lately attorneys who see dollar signs by attaching themselves to the Rick Wershe story in the final inning. Let’s be clear about the facts. Michigan’s corrupt criminal justice system engaged in a years-long vendetta against Richard Wershe for telling the FBI about the corruption of Gil Hill, a politically powerful criminal who pressured and cajoled the Detroit/Wayne County political machine to heap retribution on the guy known in the media as White Boy Rick. Cops, prosecutors, judges and appellate court judges all did Gil Hill’s bidding in denying Rick Wershe parole. Sadly, Gil Hill got away with it. The FBI never had quite enough evidence to indict him. It can be argued that the single most important thing that changed Wershe’s fate was Musilli associate Paul Louisell’s filing last December of a writ of habeas corpus in Detroit federal court against the Michigan Department of Corrections. A writ of habeas corpus essentially places a burden on the state to show why they are holding someone in custody. When U.S. District Judge George Steeh accepted the motion, and set it for a hearing—that changed everything. Suddenly, the State of Michigan to had to prove in a court of law why they were still holding Rick Wershe when every other inmate similarly charged had been paroled. The state knew it had nothing, absolutely nothing, to support the false claim that Rick Wershe was a menace to society. In less than five business days after the filing of that motion, the Michigan Parole Board announced an expedited review of Rick Wershe’s parole status.